Update: On Saturday, February 25, a court in Benin acquitted four men on charges of murder and conspiracy in Kate Puzey’s death. After eight years in prison awaiting trial, Constant Bio Jacques, Joseph Uguwu, Aurélien Bio Jacques et Abdou Gafari Amoussa were granted their freedom. Many people involved in the case lobbied for the release of the first three men due to the slim and dubious ties connecting them to the crime. Constant Bio was acquitted based on a lack of palpable evidence to warrant a conviction. 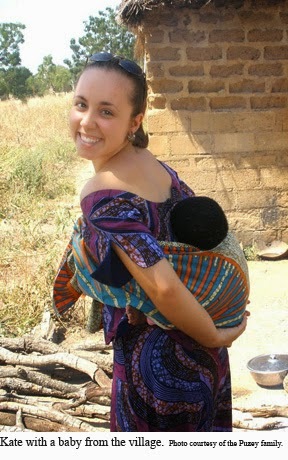 Kate Puzey loved being a Peace Corps volunteer in West Africa. She taught English at a village school in Benin and fought tirelessly for girls’ empowerment and opportunity. But when she discovered a dark secret in her village, she knew she needed to take a stand– a decision that would ultimately cost her life. Read an excerpt on Kate’s tragic murder below. The whole story can be purchased for your eReader at Smashwords.com or at for the Kindle at Amazon. Update: Murder in Benin was awarded the 2015 Peace Corps Writers Publisher’s Special Award. Bad news came in the morning. Rut Mulero, a Peace Corps volunteer at a rural health clinic in the West African nation of Benin, couldn’t believe what she heard: Someone’s throat had been slit. A brief phone call from the nearby village of Badjoude brought the news, with no information about the victim or the perpetrator. “We were wondering who would do such a thing, and why,” Mulero says. She hopped on a motorcycle behind a local nurse and zipped down 20 minutes worth of dirt roads to find out. They arrived to find the health center deserted, so Mulero walked the short distance toward the house of her friend and fellow volunteer Kate Puzey, who taught English at the Badjoude middle school. Maybe Kate knew what had happened. When she got close Mularo was surprised to see a mass of people around the house, blocking her path to the porch. Before the volunteer could push her way through, a Beninese man who taught at Kate’s school grabbed her and pulled her from the crowd. His name was Constant Bio, and Mulero knew him from his part-time job teaching language to new Peace Corps trainees. “I looked at him, like, what the hell is going on?” she recalls. Constant held her hand and sat down with her. He tried to explain, but kept talking in circles, speaking of a knife and an attack, never getting to the point. “He was just kind of saying a terrible thing has happened,” Mularo says. She had to ask – where was Kate? Kate Puzey, a popular, outgoing 24-year-old from Atlanta, was murdered sometime during the night of March 11, 2009, while she slept under a mosquito net on her porch. In the following days and weeks, three men were detained for the crime. Constant Bio was one. Also taken into custody were Constant’s older brother Jacques, who worked in the Peace Corps Benin headquarters in Cotonou, and Joseph Wgwu, a Nigerian motorcycle parts dealer who lived in Badjoude. Five years later, all three languish in prison, their trial postponed indefinitely for lack of evidence. In the meantime, Kate’s family in Georgia has been left devastated. While her father battled terminal illness, in short succession they lost a daughter and saw the Peace Corps turn its back on them, ignoring their pleas for updates and information. The tragedy exposed an ugly side of the government agency, though it ultimately inspired the largest legislative reform in its history. 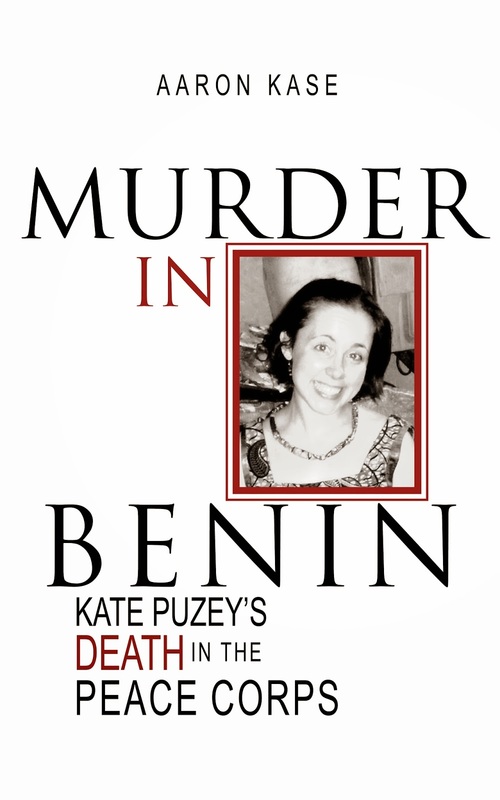 Meanwhile, Barack Obama and Beninese President Yayi Boni have discussed the case in person; the FBI has been investigating; yet so far, all efforts have failed to bring justice for Kate Puzey. The loud, abrupt grating of a generator shatters a quiet morning in Badjoude. The modern world is coming fast to the small village of 1,000 people, located in the northwest part of the skinny coastal nation of Benin. Cell phones in the village are ubiquitous. The main road was paved two years ago, bringing increased truck traffic and commerce. Electric lines and street lights are strung above the houses, although no current yet flows through them in June 2011. Despite encroaching modernity, the energy and rhythms of traditional African life still dominate. Most of the population makes a meager subsistence living farming corn, millet and yams. Troops of cows and goats lumber along the dirt paths that wind between mud and concrete huts. Benin, a narrow Francophone country of 9.2 million people squeezed between Togo and Nigeria on the Atlantic coast, is hailed as a model of democracy and progress in the region. Still, the country hosts endemic poverty, ranked 167 out of 187 nations in the United Nations Human Development Rankings. To tourists the region is known for stilt villages, voodoo culture and monuments to the transatlantic slave trade. Visitors who seek out a deeper experience will tell of an incomparable tradition of hospitality, where impoverished villagers share everything they have, where a meal and a bed for a night are never in question. Guests are honored and protected, especially foreigners like Kate who make a sincere effort to embrace the local lifestyle. Just up the road from Kate’s house, at the center of the village, a woman known as Madame SBEE stands outside her shop, vending a steady supply of phone cards, cigarettes, liquor and dry goods to workers laboring on a nearby ditch-digging project. Her nickname came from a job collecting water bills for pumps set up around the village, fed by a water tower maintained by the former Societe Benenoise d’Eau et Electrique. She was one of Kate’s best friends in Badjoude. “This touched us to the deepest part of our hearts,” says Roi Konde-Sekou the 11th, the traditional king of the Lokpa people who live in Badjoude and surrounding villages. A gray, wrinkled man, the king still speaks with force. Sitting outside a round hut painted with serpents and leopards that serves for the palace, Roi Konde-Sekou recites a royal lineage that goes back centuries. “In our entire history, nothing like this has ever happened,” he laments. Read more about the Kate’s Voice Action Network at KatesVoice.net. If you would like to support girl’s education and empowerment in Benin, consider donating to the Kate’s Voice Action Network.